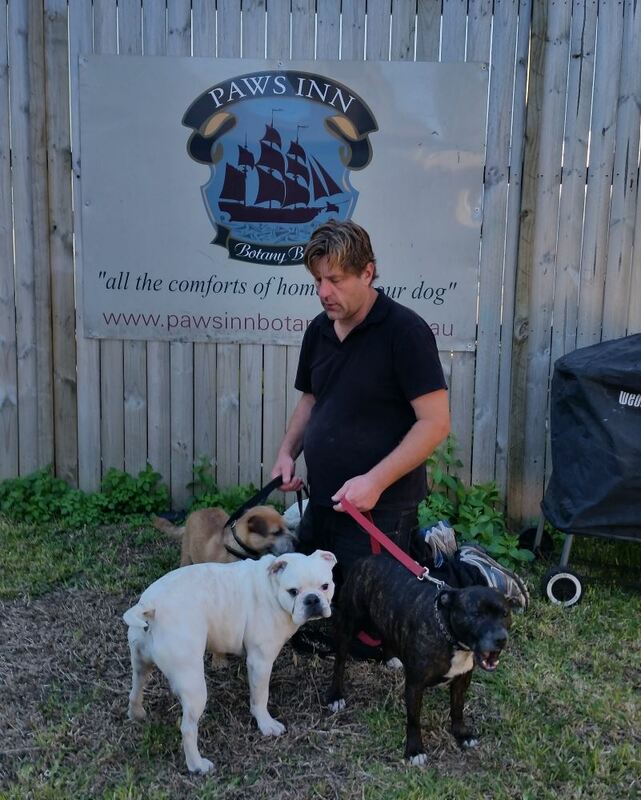 Paws Inn at Botany Bay is privately owned and run since 2011 by Jackie Bowmer and her son John, dog lovers dedicated to providing the best service possible for you and your pet. 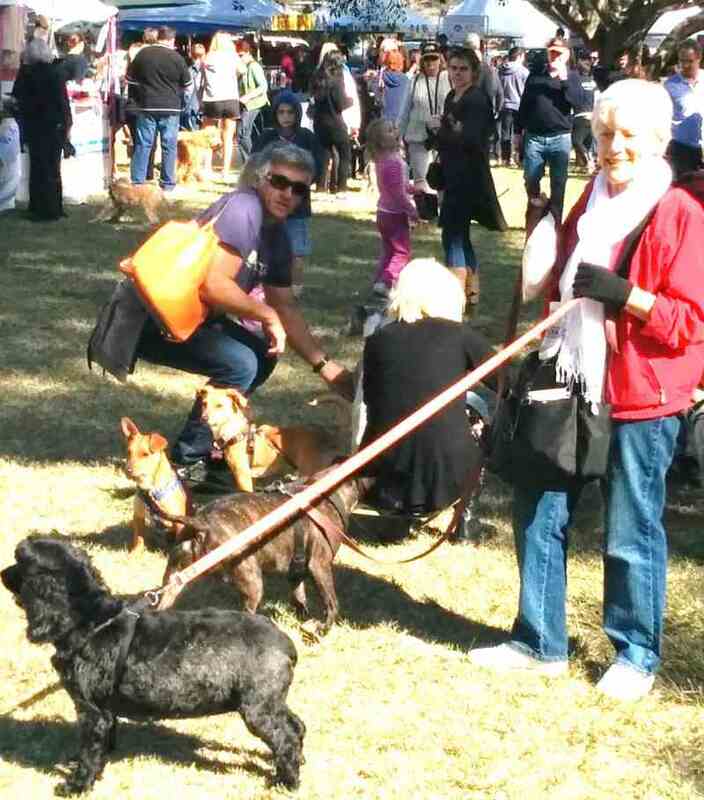 Jackie, pictured with Paws Inn customers on a dogs' day out in Manly, worked for many years as a journalist, broadcaster and regional radio manager. 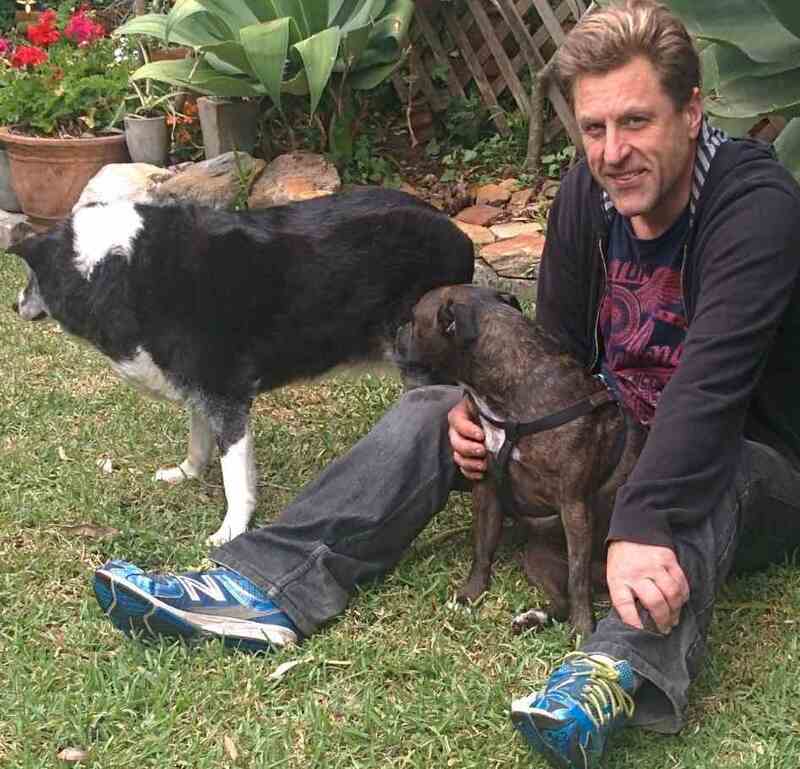 Jackie's son, John, (pictured), has studied animal care courses at TAFE and completed the Dangerous Dog Assessing and Handling Workshop held by famed dog trainer, Steve Austin. Paws Inn is still a private home owned by Jackie and John. Dogs sleep inside as there are NO KENNELS at Paws Inn. "By providing a home environment we know dogs are less stressed and settle in quickly," said John. "We make sure normal routines are adhered to, special diets are kept and plenty of time is made available for individual attention. 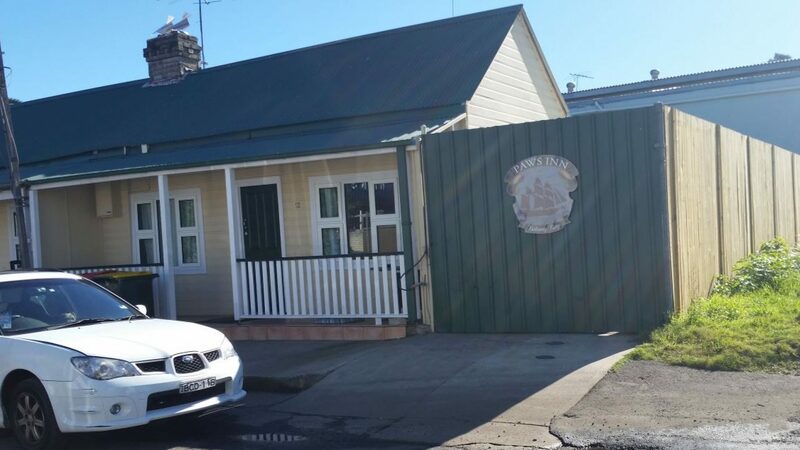 "But the long walks at Sir Joseph Banks Park are the real attraction of Paws Inn, specially for the owners of large dogs." Paws Inn provides the highest standard of care and companionship for your pet while you're away. "That's why we restrict our long-stay visitors to just one dog at a time, or two if from the same family," said John. "If there is a short crossover time during high season holidays and weekends, it is only with pet owners' permission that we would accept another dog. "Long term guests, again with owner's permission, may be joined by an occasional overnight visitor. Day care customers provide plenty of playmates," he said. Jackie and John believe exercise is important for every dog's mental health and physical well being. Besides the bush walks, lots of play is an integral part of the Paws Inn service and included in the cost. Duke the Border Terrier and Kyla the mini Oz Bulldog are two of the first regular Paws Inn clients to join our dog Braxton at the new Botany premises at Booralee Street. Socialising with other dogs is the most valuable part of day care. There is also plenty of play time with John. For the costs of Day Care at Paws Inn, please see our RATES PAGE. SPECIAL NEEDS have always been an important part of the service at our small, family run Paws Inn business at Botany Bay. With a limited number of dogs at the Inn at any one time, we can see to the needs of older dogs or those needing medication. One such regular customer was Jackson (pictured) a 10 year old Lab who didn't always realise he only had three legs. BIG DOGS ALWAYS WELCOME AT PAWS INN. Walks are limited to our home stay and day care customers who have all been to Paws Inn for an introduction. This ensures there are no aggression or unsociable issues with other dogs staying at the Inn. With his populare one hour plus walking-workouts, John has built up a strong customer following of larger dogs. Here he is with Cougar, the 50 kilo Rottweiler heading for their boot march at Sir Joseph Banks Park. All content Paws Inn Botany Bay. All rights reserved.